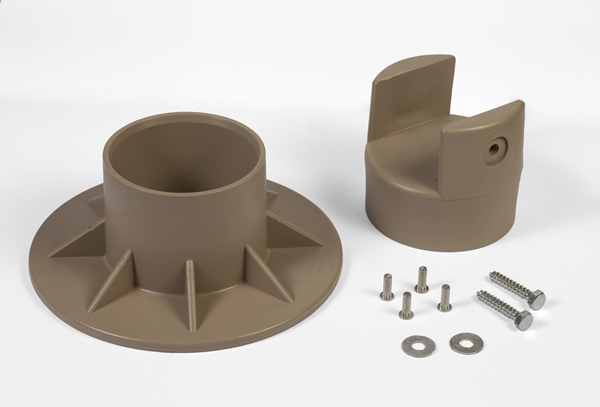 One RediFooting Set Includes Cap, Base and All Necessary Hardware. PVC schedule 40 (220 psi) is not included with your order and must be purchased separately at your local home improvement store or lumber yard. Check with local building codes for proper length (based on local frost line). Orders are shipped within 48 hours. To order by phone or for orders placed from outside of the US, please call 866-586-6082.